The filtered water pitcher is the latest home appliance to get a "smart" upgrade. This new model from Brita and Amazon connects to your Wi-Fi network and gets new filters delivered straight to your door when you need them, Gizmodo reports. The Brita Infinity pitcher uses built-in sensors to keep tabs on the amount of water that passes through your filter over time. When it gets close to the 40 gallon mark, the smart device places an order for new filters through your Amazon account, and the delivery arrives at your home—without you having to lift a finger. 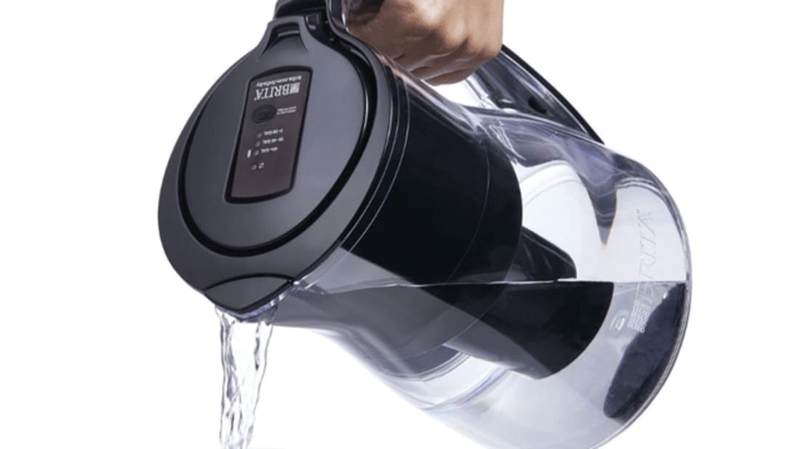 The pitcher, which is now available to order from Amazon, costs $45 and a three-pack of filters costs between $15 and $20. The product works through Amazon's Dash Replenishment Service, which was announced last year. Similar smart products for the program are already on the market, including a printer that automatically orders toner, a washer that orders detergent, and a blood glucose meter that orders its own test strips. According to Forbes, companies like Oster, August, and Petnet are also expected to announce Dash Replenishment-compatible devices in the future.